The Lodgewood® Collection combines authentic wood designs with the functionality of an upward acting sectional door. 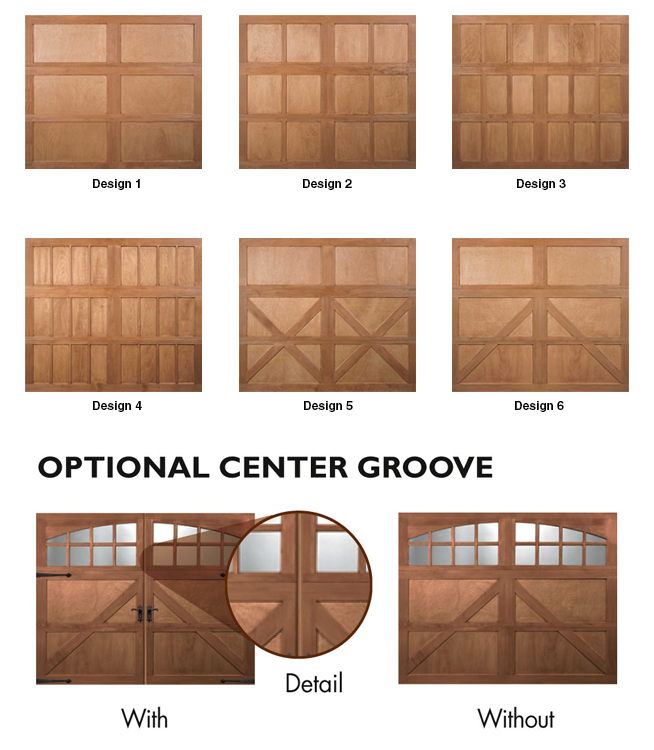 Handcrafted 2-layer non-insulated wood garage doors in authentic carriage house designs. Swing-out appearance – modern operation. 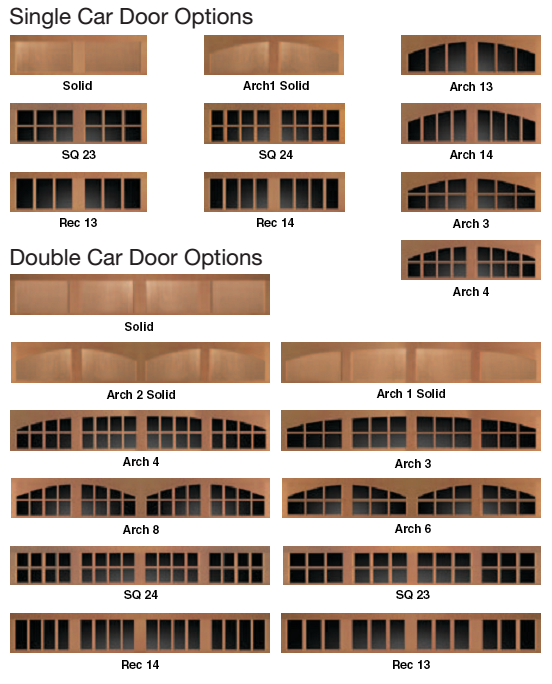 6 door and 8 window or top sections for multiple door design options. Available in 3 species. 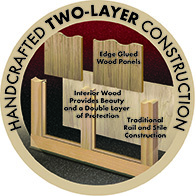 All stain grade rails, stiles and panels are made from Redwood, Cedar or Hemlock. Hemlock (paint grade and grooved) doors have Hemlock stiles and rails with exterior grade MDO plywood panels. True divided windows are standard with 1/8" DSB glass. 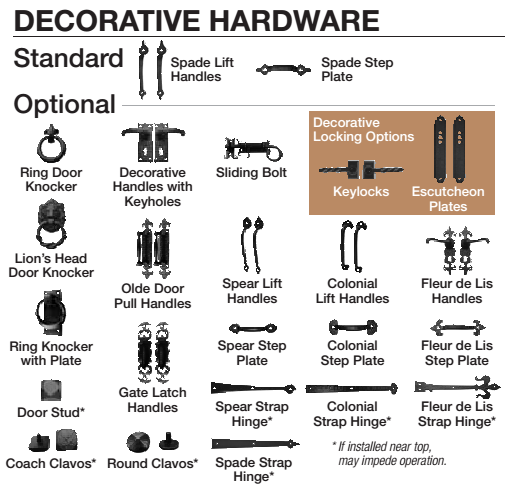 Specialty glass options available. Commercial Grade Track and 14 Gauge Steel Hinges. Doors Can Be Stained or Painted to Match Your Home. Attractive beveled edge clip-in grilles are removable for easy window cleaning. Comes factory finished in Walnut, Dark or Medium Finish; door can also be ordered in Whitewash Finish (Mahogany only) or primed for homeowners wishing to custom paint or stain their doors.